Paul Nicholls' hopes of landing a second victory in the Aintree Grand National are set to be boosted by the presence of Silviniaco Conti this season. The champion trainer has confirmed his intention to enter the two-time King George VI Chase winner for the Aintree marathon, a decision likely to have been prompted by Silviniaco Conti's Gold Cup disappointment last March. A fabulous jumper, Silviniaco Conti had been sent off favourite for Cheltenham's blue riband but once again his apparent dislike for Prestbury Park emerged and he could finish only seventh – his only reverse in four races following his comeback at Wetherby last November. Nicholls took part in a social media Q&A session recently during which he stated it was 'almost certain' that Silviniaco Conti will be given an entry in the Grand National 2016 having previously hinted that could be the case. The presence of the Dom Alco gelding would be a significant boost as Nicholls seeks to add to his 2012 triumph with Neptune Collonges. Silviniaco Conti has developed a reputation as one of Britain's most consistent staying chasers in recent seasons, taking over the mantle at Nicholls' Ditcheat yard from the likes of Kauto Star and Denman. He already has ten wins under his belt over fences, including no less than six at Grade One level. Having run out of puff on his comeback last season in the Charlie Hall at Wetherby, he landed his second career victories in both Haydock's Betfair Chase and the King George at Kempton on Boxing Day. On both occasions Noel Fehily's mount was bold and brave with his jumping out in front as he won his races decisively. Not for the first time, he was undone by the undulations of Cheltenham in March where he was never travelling with the same gusto or fluency in his fencing. Perhaps notably with the Grand National in mind, Silviniaco Conti bounced right back to his best at Aintree the following month when scooping the Grade One Aintree Bowl for the second time and taking his career record at the Liverpool track to 1-1-3-1 in the process. A strong, galloping, fluent jumper, Silviniaco Conti appears to be at his peak on flat tracks like Haydock, Kempton and Aintree. He is likely to make his comeback next month before returning to Kempton in December to seek a King George hat-trick. 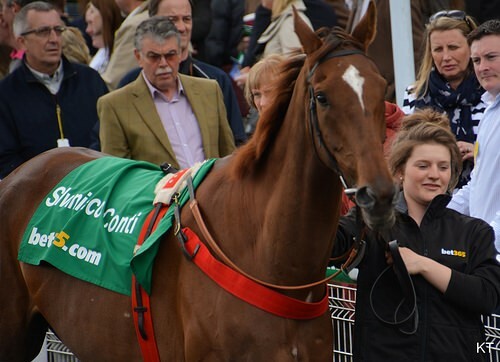 Throughout his career as a chaser, it is Silviniaco Conti's fast, accurate jumping that has drawn many plaudits. Little wonder in this case that Nicholls is considering the Grand National as an option. In the wake of his Aintree Bowl success in April, Nicholls declared Silviniaco Conti 'could be the right horse to run in the National as he jumps so well'. He also revealed that his preference going forward would be to stick to flatter tracks than Cheltenham, insisting the Gold Cup was not the be all and end all. It appears as if that is a view the champion trainer has allowed to harden up over the summer and Silviniaco Conti could become a Grand National star with his age and profile fitting the bill perfectly for Aintree success.